Ms. Rockwell has won such awards as an art scholarship from the Georgia Governor’s Honors Program, and “Best of Show” at the Beverly Hills Art in the Gardens Affaire. 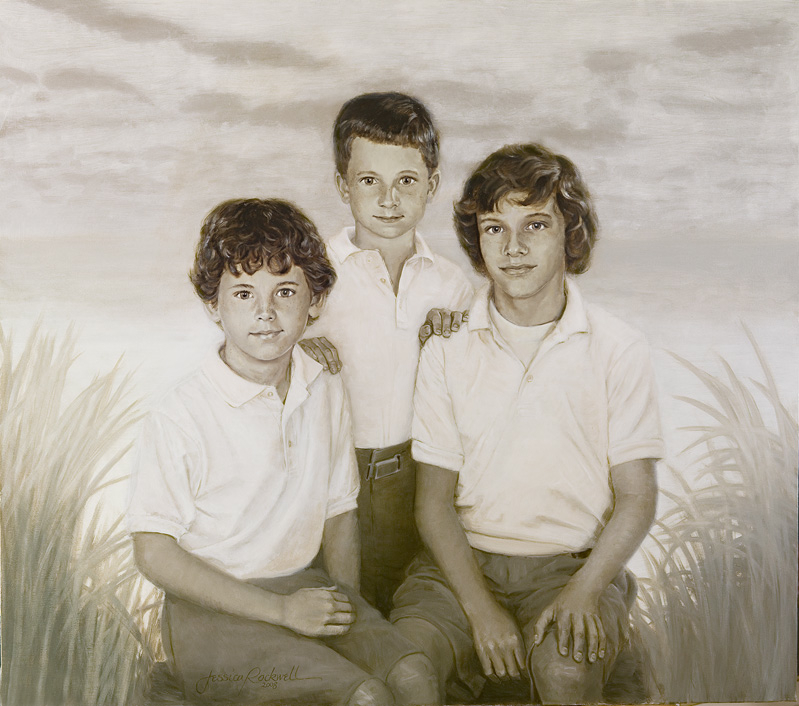 She has been affiliated as a member of the American Society of Portrait Artists. Since 1999, Ms. Rockwell has made her ?home in Clearwater, Florida, where she has had two one-woman shows, and built a large studio that shows her work. She is friendly and helpful and would enjoy discussing your portrait ideas with you in a no-obligation free consultation. Just contact her here . You can also sign up for her occasional newsletter that showcases one portrait and shares some of the back story. For photos of Jessica and her manager/photographer husband: Spring 2015, New Year 2014, New Year 2013, New Year 2012, Art is a Portral. Please contact the artist at info101@rockwellportraits.com for pricing.